It was the most scandalous incident in the history of international football. 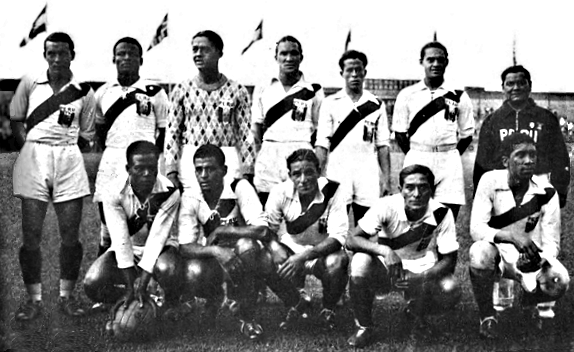 Peru were the sole South American representatives at the 1936 Olympic Football Tournament. 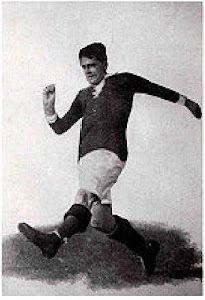 The 1935 South American Championship served as a qualifier for the Olympics, but neither champions Uruguay nor runners up Argentina were able to travel to Germany due to an economic recession. Peru had finished 3rd, winning just the one game, against Chile. At the Olympics Peru beat Finland by 7-3 in the first round, giving them a match with Austria in the next round. Austria went two-nil up through goals from Werginz and Steinmetz . They held onto this lead until the 75th minute. Campolo Alcalde pulled one back and then in the 81st minute Alejandro Villanueva equalized. Peru were then reduced to 10 men by the loss of Alcade. This Austria side, with the great Jimmy Hogan as manager, were not of the calibre of Meisl's Wunderteam from earlier in the decade. The game went into extra time, and during the first period referee Mr Kristiansen of Norway disallowed 3 Peruvian 'goals'. Villanueva gave Peru the lead in the 117th minute and in the very last minute of extra time Teodoro Fernández made it 4-2 to Peru. There was a pitch invasion following the 4th Peruvian goal, The Austrians claimed that one of their players was assaulted. The referee abandoned the match (with just seconds remaining). Press reports stated that "about 1,000 Peruvian supporters" stormed the pitch with "iron bars, knives and even a pistol". 1.000 Peruvian supporters ? In Berlin? It seems unlikely. The Peruvians counter claim was that the pitch invaders was fascists who couldn't stomach a victory by a team featuring black players. Following a hearing which the Peruvian delegation missed (they were waylaid en route, stuck behind a fascist parade!) the Olympic Committee and FIFA ordered a replay behind closed doors. Peru however (supported by Columbia) chose to go home. 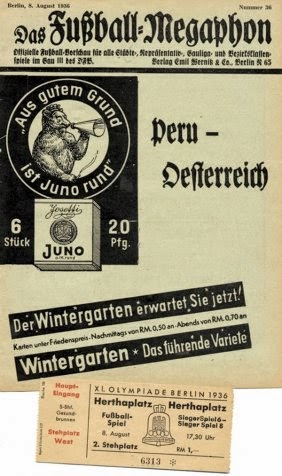 Anti German feeling in the South American continent ran high after this debacle. The Crafty Berlin Decision was how the incident was described by Snr. Oscar Benavides, the President of Peru.